Do you have a senior cat that loves to just lay around? As some of you know, I have a senior kitty that lives my with in-laws – Lucie. It is so hard to believe that my pretty kitty turned 15 this year and she is as feisty as she was as a young cat. To the surprise of everyone, someone forgot to tell her she was a senior since she still goes out to hunt, play, and do whatever she likes (even if it means sometimes showing who is boss to other cats). The only cat in their household who will usually stand up to her is her younger half sister, PB, who also doesn’t realize at times she is a senior cat. Lately, however, PB has been showing her age, having a few more health problems and sometimes dealing with aches and pains that come with old age. Even though PB is younger, it has made me think of the signs of old age Lucie isn’t showing, making me consider things to make both of their lives even easier. After hearing they both loved my father in law’s heat pad, I knew that a self heating mat would likely be perfect for them! 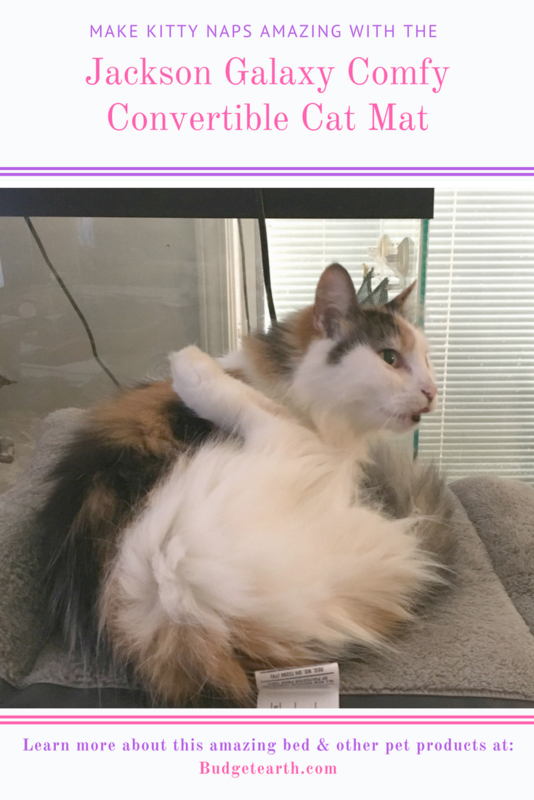 Luckily, we recently found the perfect salutation for two aging cats – the Jackson Galaxy Comfy Convertible Cat Mat & Tunnel! 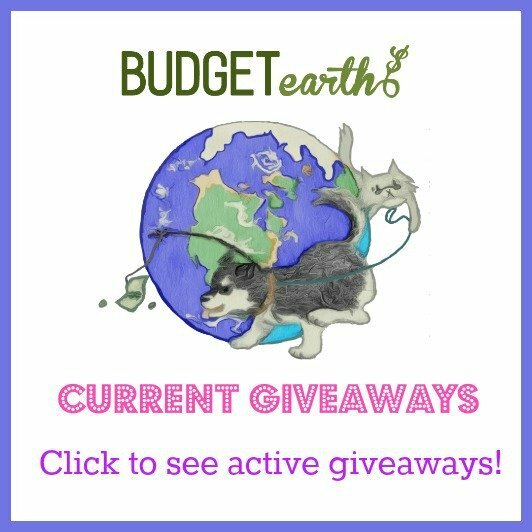 Jackson Galaxy Comfy Convertible Cat Mat & Tunnel: What is It? Looking for a super comfy bed for your favorite cat? 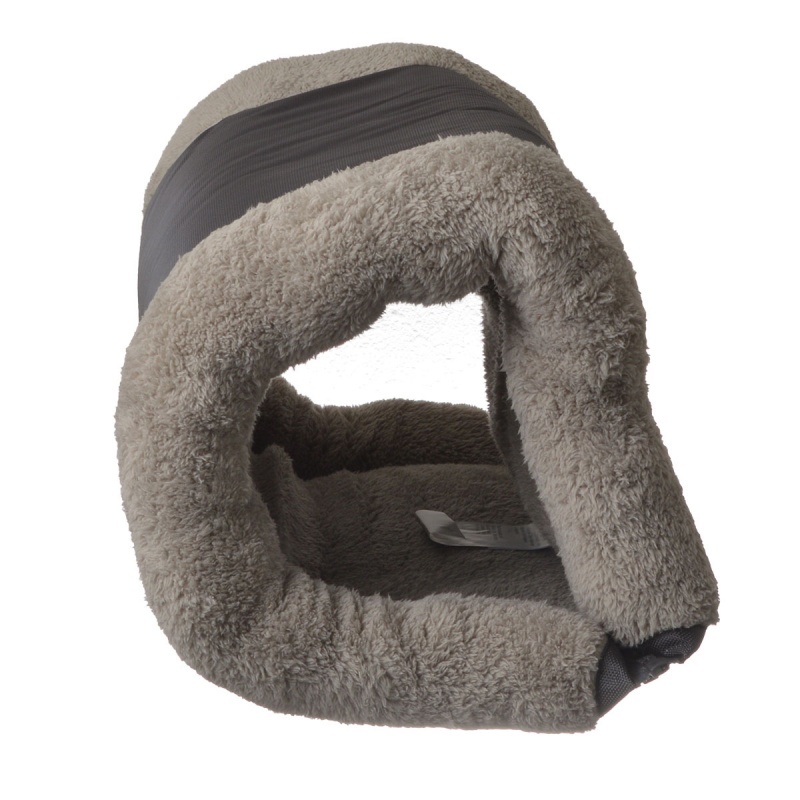 If so, we think you will love the Jackson Galaxy Comfy Convertible Cat Mat & Tunnel. This fun bed allows cat to play and sleep in a way that is perfect for their playful nature. They can either sleep on it flat, enjoying the self –warming side of the bed with Mylar fabric on one side, or play in a fun tunnel! Who knew it was so easy to keep cats of all ages so happy? So, what do Lucie and PB think of the Jackson Galaxy Comfy Convertible Cat Mat & Tunnel? So far, this bed has been a major hit! They absolutely love laying on this mat, enjoying the self-warming and cuddling up to watch the humans do their own thing. Lucie seems to be liking it as well, having mostly forgotten about her old bed and enjoying this one. The only thing we have seen though is that they don’t really seem to interested in the tunnel aspect, though we think this is mostly due to them being senior cats. 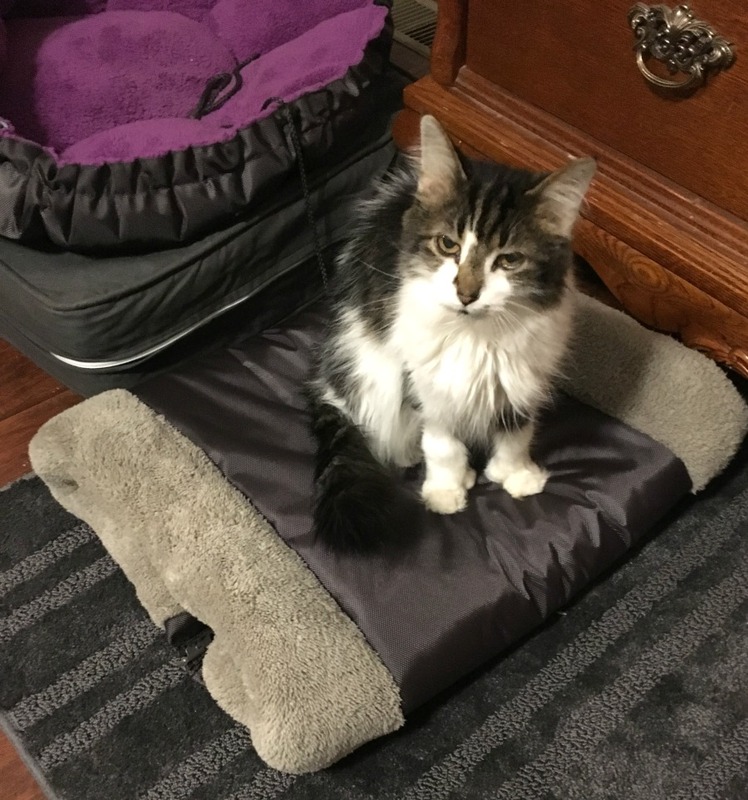 Overall though, we would recommend the Jackson Galaxy Comfy Convertible Cat Mat & Tunnel to anyone who is looking for a self-warming bed for their favorite kitty! Jackson Galaxy Comfy Convertible Cat Mat & Tunnel: Where to Purchase? Want to try this awesome toy for yourself? You can find the Jackson Galaxy Comfy Convertible Cat Mat & Tunnel at a pet store near that sells Jackson Galaxy or Petmate toys. To find a store that sells Petmate toys, make sure to check out the Petmate store locator! Want to see more? Check out Petmate on social media! Cool looking mat. I like Jackson Galaxy. My sister’s cat would love this. This is such a nice idea!!! It might not replace a warm lap, but a nice place for your pet to hang out and enjoy the day or evening! It would make a nice gift, too! These would be so great for cat-owners. I wish I had had these when we had cats. I like that it’s a dual purpose item. It would make a great gift for a cat owner. I do not have cats; however, my friends has two. I will be sure to tell her about this. I have 5 cats and they are all stealing the dogs bed. This looks like something they would like. I would have to get a few though. I’m always looking for ways to spoil my senior kitties. This is so cool. This is a pretty neat idea. I think our Kitty would enjoy sleeping in the tunnel. Helps keep the pet hair off your favorite chair too! I have three kitties that would love this! Such a brilliant idea! I am going to have to get one for our oldest cat. My cat would love this as a tunnel. She loves snuggly little areas. Oh man! My cats would love this! They would play with it as the tunnel and then I know the 2 year old would love laying on it as a mat. I definitely need to check out Jackson Galaxy products… I’ve heard a lot of great things about the products that are under his name. What a great idea that you can adjust the shape! That fact can keep it being fairly new and exciting for your cat. I like that you can change it up. Cats are so easily bored and this would keep them interested. This is pretty neat. I know our cat would want one. I have never seen anything like this before. I have a friend who would probably be into this for his cat. Great design. Because it’s reversible, you can change it up when the kitties get bored of it! My friend’s cat would love this. My cats would love this neat mat. Thanks for the chance. What a beautiful cat. How neet this that mat too! We have multiple cats, ranging in age from 8 weeks to 18 years. Our oldest senior cat does not show his age in many ways–the most noticeable being his lack of attention to his grooming–but he does search for sunny spots to lay, and would likely benefit from something like this. I have three cats who have always refused past cat beds, maybe they would like this though. Looks so comfy!! Do they make one for big people lol!?!? 😉 I love that it turns into a tunnel!